Please be advised that 87.9 JoeFM is under attack. 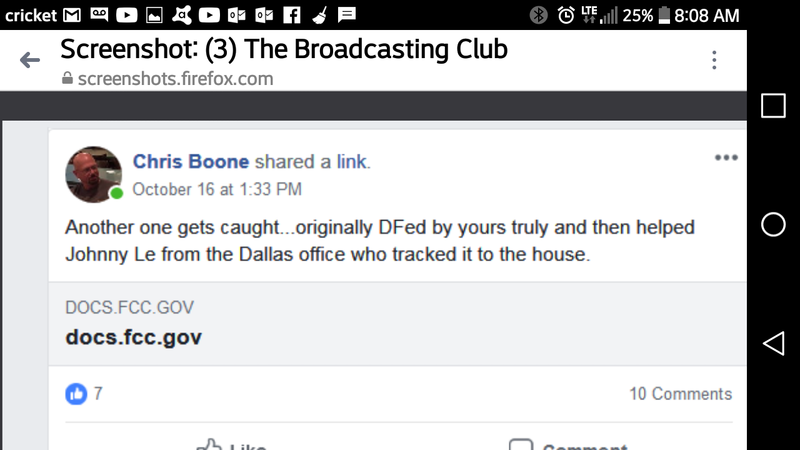 Christopher Boone, a radio engineer who is angry, vindictive, and cannot hold a job very long, has seemingly made it his mission in life to get JoeFM removed from the airwaves of Houston, Texas. He is seen boasting on Facebook and other internet forums about his complaints to the FCC. (See below). As a result of Mr. Boone's complaints, the FCC has filed a Notice of Unlicensed Operation Case and has given us 10 days to file a response. Please click the FCC Filing link below to read our reply.